Brings thoughts of dancing around the room with your kids standing on your feet. Just beautiful. Oh, how I adore TSO! One of these days, I shall see them live! I would love to see them too! I hope you do! I agree with Kim. TSO really rock! 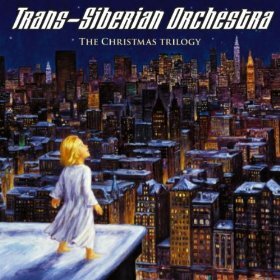 And, although I prefer traditional sounding Christmas music, I find I love TSO's style of music period. Great pick! Wow, you nailed this,loved it!!! Yeah, that is classic instrumental Christmas to me, even though it's not all that classic! Thank you sis. It's been a long long week! But musical! Let er' rip! Fabulous to bring in the holidays! Great pick my friend! HAPPY HOLIDAYS & thanks for sharing. It's a classic at this time of year! Oh TSO just is awesome! I love their music. By the way, I love the look of your blog space. It is really pretty. Thank you Naila. I'm trying to make it a cool space on no budget :) I'm learning as I go. truly incredible. I have to get one of their discs for my Christmas music library. amazing. Ooh that's a great idea! I should get one if I can!